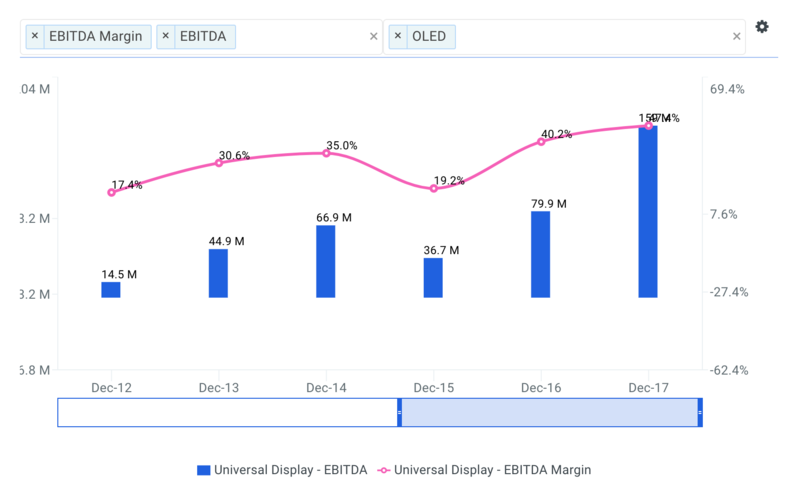 With the stock down more than 20% in the last three months, investors may be tempted to buy shares of Universal Display Corporation (Nasdaq: OLED). In this article, I am going to calculate the fair value of Universal Display by forecasting its future cash flows and discounting them back to today’s value. 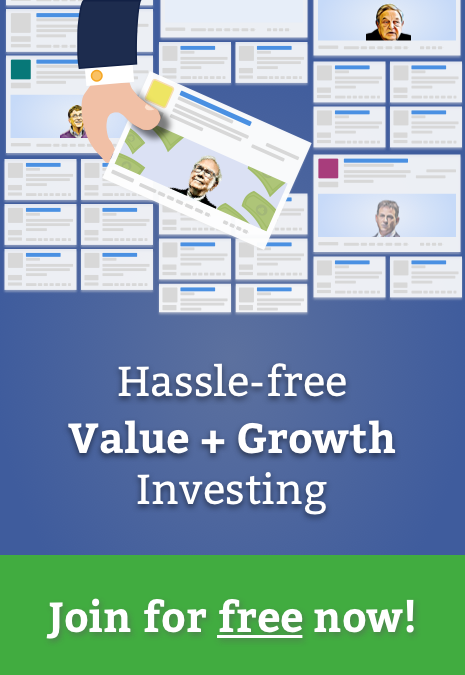 Value investors may find the results of my analysis surprising. Analysts covering the stock often compare the company to a peer group that includes Eastman Kodak (NYSE: KODK), Dolby Laboratories (NYSE: DLB), AU Optronics (NYSE: AUO) and Avnet (NYSE: AVT). The company's 5-year revenue CAGR of 32.2% is above all of its selected comparable public companies: KODK (-15.5%), DLB (3.0%), AUO (-4.0%) and AVT (-7.5%). The company's projected 5-year revenue CAGR of 27.5% is also above this same peer group. 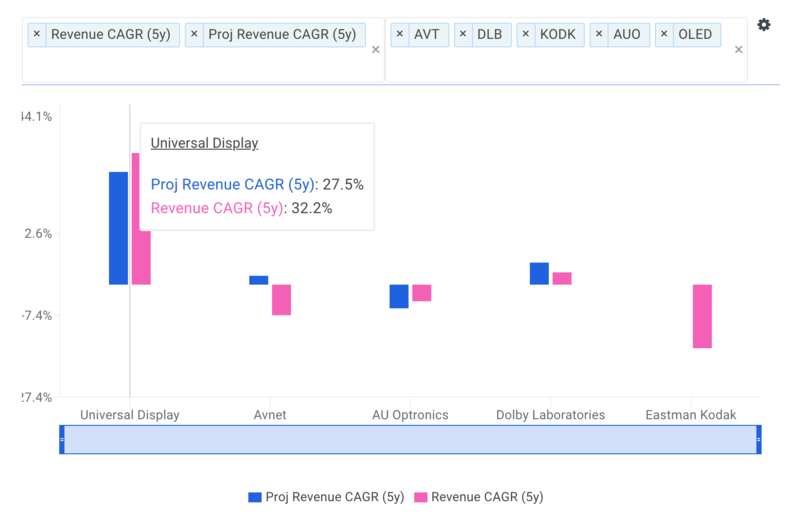 As highlighted below, Universal Display's revenue growth has ranged from 0.0% to 76.2% over the last five fiscal years. Going forward, analysts forecast that Universal Display's total revenue will reach $850 million by fiscal year 2022. This represents a CAGR of 20.4%. The analyst projections for the next five years are highlighted below. The next step is to forecast the company’s earnings before interest, taxes, depreciation and amortization (EBITDA). 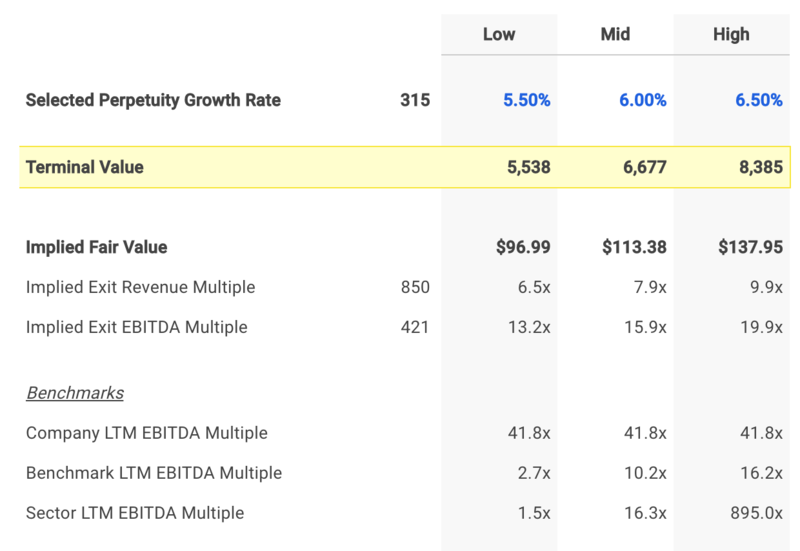 Note that EBITDA is a commonly used metric in valuation models because it provides a cleaner picture of overall profitability, especially when benchmarking against comparable companies. This is because it ignores non-operating costs that can be affected by certain items such as a company’s financing decisions or political jurisdictions. For more detail, see Universal Display's EBITDA definition. 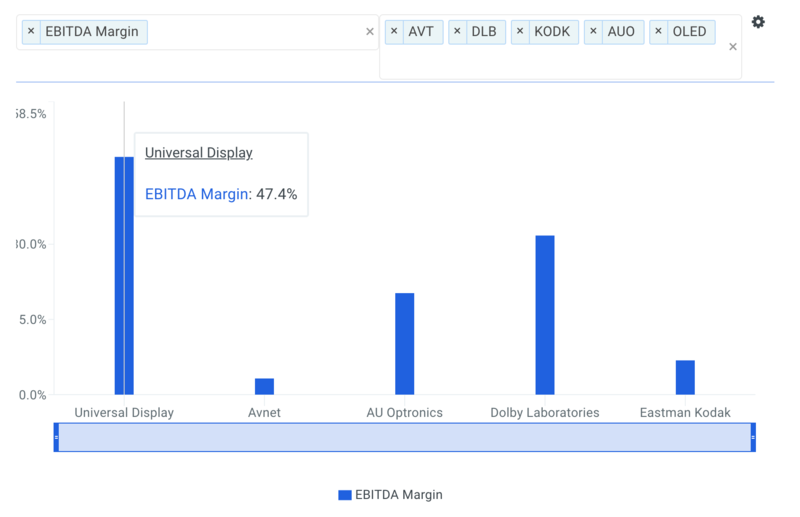 The charts below compare Universal Display's LTM EBITDA margin to the same peer group. The company's EBITDA margin of 47.4% is above all of its selected comparable public companies: KODK (6.8%), DLB (31.7%), AUO (20.2%) and AVT (3.2%). Universal Display's EBITDA margin has ranged from 19.2% to 47.4% over the last five fiscal years. Wall Street analysts are forecasting that Universal Display's EBITDA margin will reach 49.5% by fiscal year 2022, representing an increase of 2.1% from its LTM EBITDA margin of 47.4%. This seems reasonable so I kept these assumptions in my model as shown below. Although I don't specifically walk through my assumptions here, I then forecasted depreciation & amortization, capital expenditures and net working capital based on historical levels. It’s important to note that the WACC is the appropriate discount rate to use because this analysis calculates the free cash flow available to Universal Display’s bondholders and common shareholders. On the other hand, the cost of equity would be the appropriate discount rate if we were calculating cash flows available only to Universal Display’s common shareholders (i.e., dividend discount model, equity DCF). This is commonly referred to as the difference between free cash flow to equity (FCFE) and free cash flow to the firm (FCFF). By using the WACC to discount FCFF, we are calculating total firm value. If we discounted FCFE at the required return on equity, we would end up with equity value of the firm. 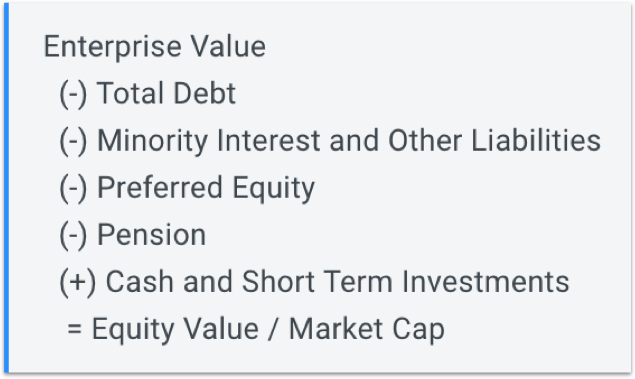 Equity value of the firm is simply total firm value minus the market value of debt. I determined a reasonable WACC estimate for Universal Display to be 11.0% at the midpoint. An updated cost of capital analysis using real-time data can be found at finbox.io's Universal Display WACC Model Page. The DCF model then does the heavy lifting of calculating the discount factors by applying the mid-year convention technique. Since it is not reasonable to expect that Universal Display will cease its operations at the end of the five-year forecast period, we must estimate the company’s continuing value, or terminal value. 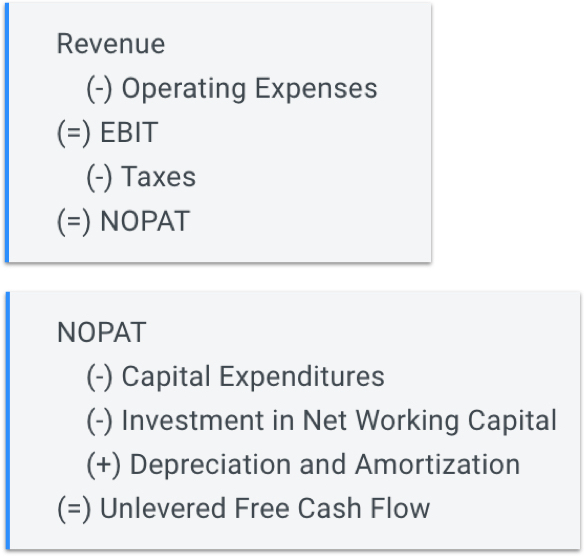 Terminal value is an important part of the DCF model because it accounts for the largest percentage of the calculated present value of the firm. If you were to exclude the terminal value, you would be excluding all the future cash flow past the horizon period. Using finbox.io, users can choose a five-year or 10-year horizon period to forecast future free cash flow. As the formula suggests, we need to estimate a “perpetuity” growth rate at which we expect Universal Display’s free cash flows to grow forever. Most analysts suggest that a reasonable rate is typically between the historical inflation rate of 2% to 3% and the historical GDP growth rate of 4% to 5%. 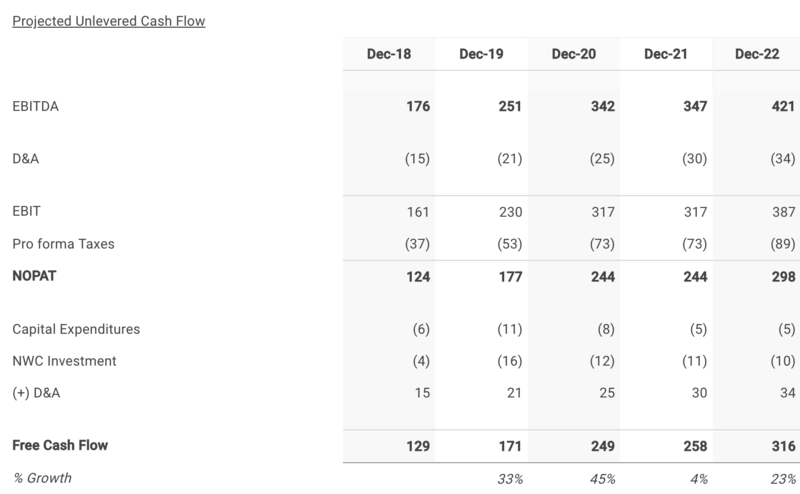 Universal Display's free cash flows are still growing at a healthy rate at the end of the projection period, so I’ve selected a perpetuity growth rate of 6% (at the midpoint). An EBITDA multiple is calculated by dividing enterprise value by EBITDA. Similarly, the terminal EBITDA multiple implied from a DCF analysis is calculated by dividing the terminal value by the terminal year’s projected EBITDA. Universal Display's implied EBITDA multiple of 15.9x seems reasonable based on the sector LTM EBITDA multiple of 16.3x (at the midpoint). The assumptions I used in the model imply an intrinsic value per share range of $96.99 to $137.95 for Universal Display. Universal Display's stock price currently trades at $132.05 as of Tuesday, January 16th, -14.1% above the midpoint value of $113.38. Universal Display's stock has lost significant value over the last three months and investors may very well decide to purchase shares. 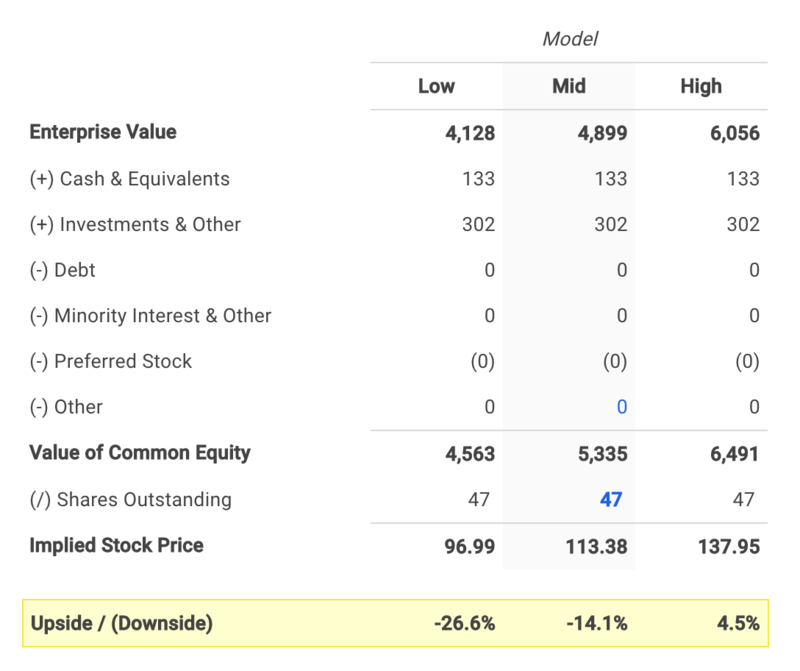 However, the stock still appears to have further downside potential based on its future cash flow projections. A DCF analysis is only one side of the coin in terms of building your investment thesis, and it shouldn’t be the only tool you use when researching a company. 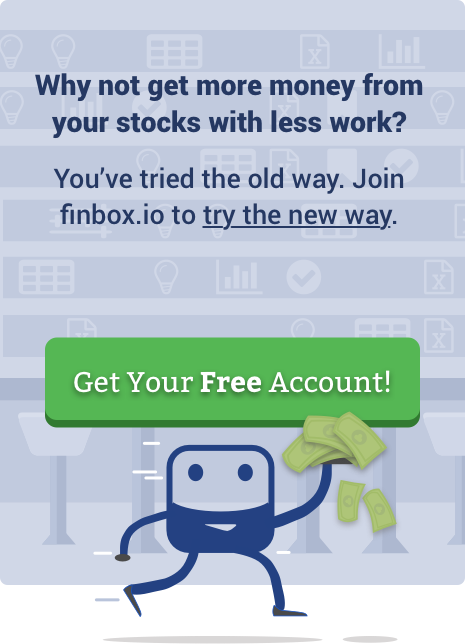 Finbox.io applies pre-built valuation models to calculate a fair value for a given stock and uses consensus Wall Street estimates for the forecast when available. The company's average fair value of $99.49 implies -24.7% downside and is calculated from 8 separate analyses as shown in the table below. Sears Holdings Corp.'s $620 mm spin-off via rights offering of Sears Outlet, Hometown Stores and Sears Hardware Stores. Cerberus Capital Management's $3.3 bn acquisition of SUPERVALU Inc.'s New Albertsons, Inc. assets.